We reported yesterday that you can now delete an XML Sitemap in the new Google Search Console. Well, it is a bit more than that. 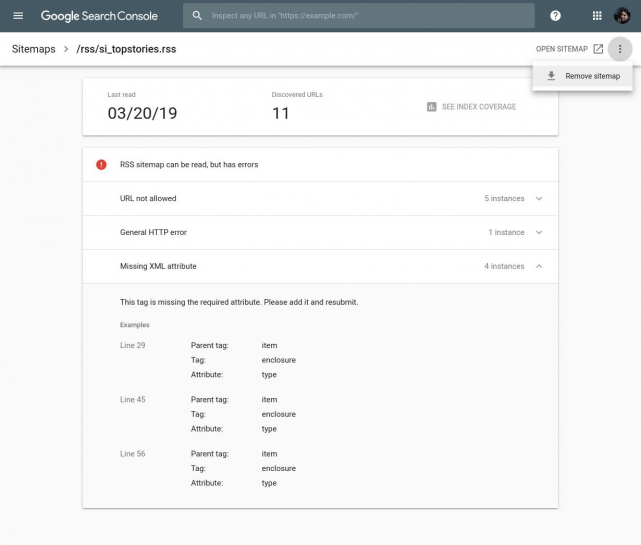 Google said on Twitter you can also open the sitemap content in a new tab, review granular details for sitemaps with errors and present RSS and Atom feed sitemaps.